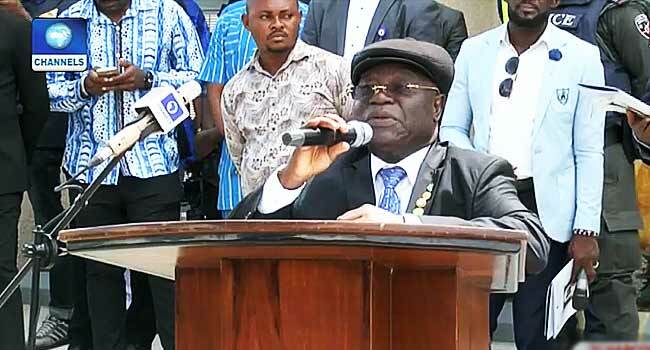 The President of the National Industrial Court, Justice Adeniran Adejumo, has said that by the next legal year which commences in September, four resident judges will be posted to Port Harcourt, the Rivers State capital. Justice Adejumo said this at the commissioning of a new NIC building in the state, noting that it will allow for quick administration of justice. “As from the beginning of the next legal year which is September, I will post four resident judges to preside in the Port Harcourt judicial division of the National Industrial Court so that cases here can be attended to without delay,” he said. Furthermore, the NIC president pleaded with the Government to provide houses for the judges who would be presiding over the new court, to make it easier to carry out their duties. He, however, thanked the governor, Nyesom Wike, for his overall support towards the judiciary, explaining that judicial officers had gone through so many challenges prior to the establishment of the new facility. “I came to Rivers years ago with the intention of having a court that will take care of matters arising within our jurisdiction in Port Harcourt. “The Chief Judge then gave me a court hall and chambers for me to do my business. I sent a judge here with two vehicles – a bus and a car, Our generator and all facilities. “We renovated the court with our money, only to be here for some months and the court was locked. “We lost the two vehicles and some other facilities. I had no choice than to relocate the court to Yenogoa and the Chief Judge was kind enough to discuss with his Excellency who gave us one of their courts and a residence was provided. “As time went on, cases were swelling and the court in Yenogoa alone could not cater for these cases. I had to send some of these cases to Owerri, Calabar and Enugu,” Adejumo said. But according to him, in a space of 15 months, the Rivers Government built what he described as an edifice which no other state government has ever done. He said despite telling Governor Wike at the groundbreaking ceremony earlier that judgement will be administered in accordance with the law and not based on any bias, regardless of his kind gesture, he (Wike) was not deterred. The NIC President, therefore, assured the State Government that the court will be maintained in good condition even as the judicial officers ensure proper administration of justice.